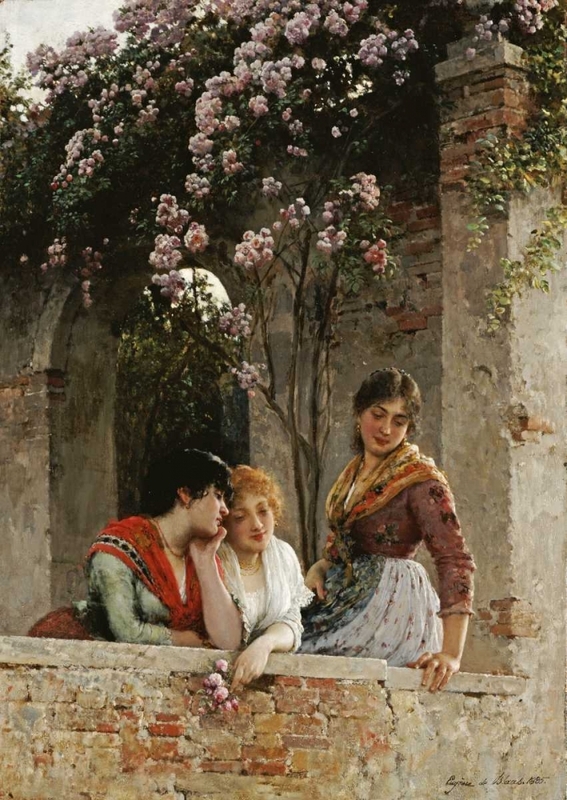 "Born in 1843 in Rome to Austrian parents, Eugene de Blaas was the son and student of the painter Karl von Blaas (1815-1894), who was a teacher at the Academy of Rome and at the Academy of Venice.Venice had been a central attraction, particularly for artists, since the early eighteenth century. It was in Venice that de Blaas excelled and established himself as a leading oil painter of Venetian genre and figures.He depicted scenes which were characteristic of Venice, such as the local fishermen, beautiful women, and gondoliers surrounded by the marvellous architecture. He portrayed the charm and elegance of Venice by focussing on skin, hair, embroidered lace and other soft textures.De Blaas exhibited his work throughout Europe, including at The Royal Academy between 1875 and 1891. 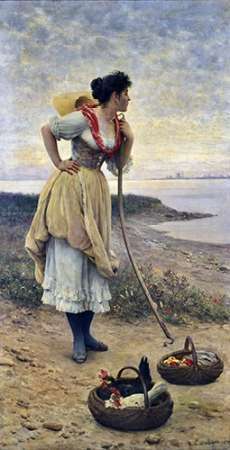 His work continues to be in popular demand throughout the world.Eugene de Blaas died in 1932."